While Earle Holmes may not sing quite in tune, the South African expatriate has performed a feat long deemed impossible: To inspire and organize a generation of French youth into creating rock music sung mostly in English and that is respected and sells both at home and abroad. So when this year’s Grammy Award for best alternative music album, went to the French band Phoenix, for “Wolfgang Amadeus Phoenix” – beating such other illustrious nominees as David Byrne and Brian Eno and Depeche Mode – it brought a smile to Holme’s face. Although Phoenix was already well established at the time, two of the band members used to drop in and take part in Earle’s open mic over a year or so in the early days, encouraging the younger musicians he was helping to debut at the time. Indeed, at that time five years ago, when Holmes began managing, mentoring and promoting the young wave of French bands – which came to be known as the baby rockers, since most were barely out of their teens – French music industry professionals told him not to lead the kids on. French rock, as John Lennon reputedly said – and they believed – is like English wine. Today the bands in his litter have released more than a dozen albums with labels around the world. They have found sponsorship from major fashion houses and have sold music to advertisers and video games. Of the bands that came of age or were formed at Earle’s open mic, Rock&Roll, had its album cover designed by Karl Lagerfeld, who considered the band his muse. Neimo released its second album, “Modern Incidental,” in late 2008 on the U.S. independent label Shangri-La Music, co-founded by Jeff Ayeroff, the founder of Virgin US and former creative director of Warner Records. The HushPuppies and Stuck in the Sound sold songs to the Guitar Hero video game, and The Tatianas appeared in a film with Catherine Deneuve. Last year, Holmes started a new company called BPM, which stands for Bassline Promotion and Management, to manage some of the bands, and he is now moving on to a next step, which is as European representative of an association called Africa Unsigned, to promote unknown African musicians in Europe. 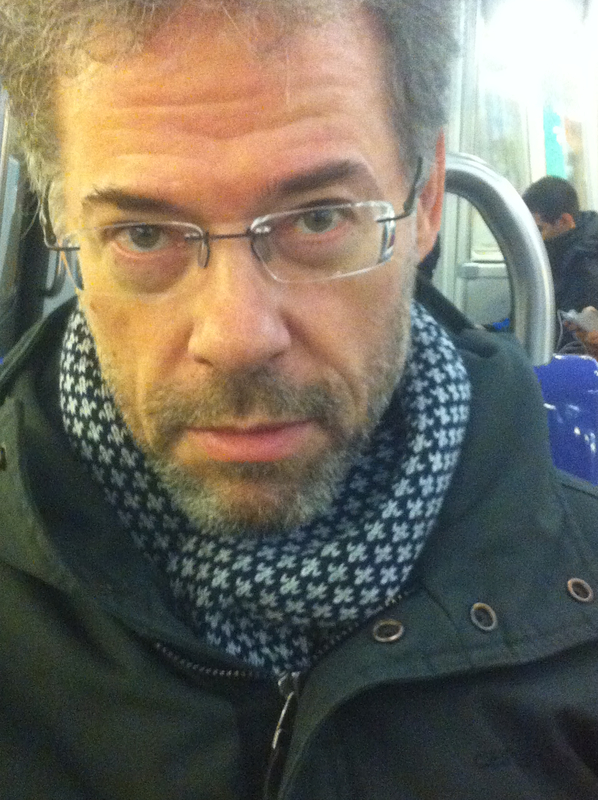 The association is partly the brainchild of Pim Betist, the founder of Sellaband.com, and it uses the same principle of seeking funding from fans to support the career of the artists. With Holmes’ experience in France and his ties in South Africa, it is no surprise that the association sought his help. Holmes, 41, moved to France 13 years ago with a French wife and had to start life again from the bottom. He found a job as a busboy, then a waiter, then as a bar manager. He opened his own bar in 2000 with an Irish associate and called it the Shebeen, a word used in Ireland and in South Africa, meaning clandestine bar. A fan of the renaissance of British rock early in the decade, he lamented it would never happen in France. But in 2004 in Paris he met Pete Doherty, of The Libertines, and through him met a French musician named Michael Bontemps. Bontemps told Holmes he had a group called The Parisians but that they could not find any places to play. So Holmes invited them to play at the Shebeen. Starting with its first appearance the band filled the small bar in the Latin Quarter with young rockers and Holmes said to himself: “It’s here!’’ He became their manager ‘‘by mistake,’’ he said, using his bar contacts to find larger venues and creating a Monday night open mic to help the bands develop (and improve business on a slow day). The Parisians’ reputation grew, as did the Shebeen’s, and it spawned dozens of new groups. 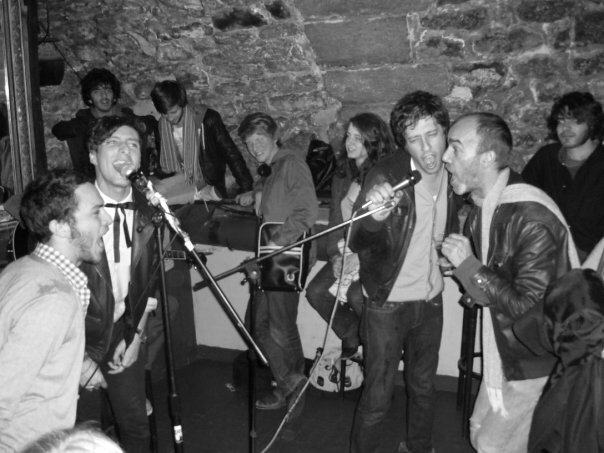 The Shebeen open mics also attracted impromptu performances from overseas groups like Razorlight, The Wombats, Adam Green and Johnny Clegg. Journalists and photographers — like Pierre Hybre, who published a pictorial book about the movement called ‘‘French Kicks’’ — followed it and it became fashionable. 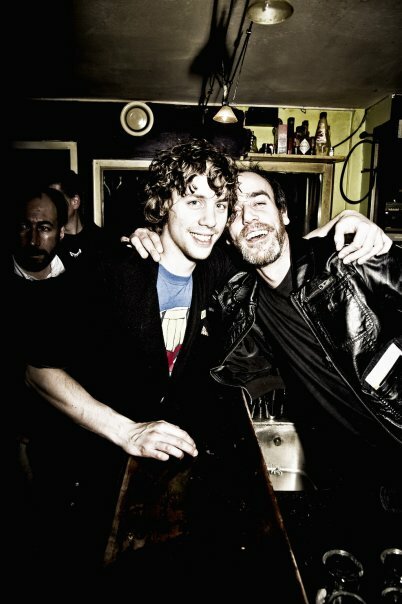 After Razorlight heard a local band called Brooklyn at the Shebeen, they invited it to open for them at the Olympia, and Brooklyn has gone on to record an album and appear on national television as one of the hottest new bands, on the legendary live music show Taratata. Holmes’s success comes down to his personality and vision. What helped the movement internationally is that, like Phoenix, most of the bands sing in English. This is thanks mostly, said Holmes, to the kids growing up hearing their parents play the British and American rock classics of the ’60s and ’70s. But there is also a vital back story to the Holmes story: His brother Brad founded a jazz club for blacks and whites in Johannesburg in 1994 called The Bassline, which is now one of the country’s premier live music venues. Holmes helped run the club. His brother Garth, started a drama and film school in the family home with six students, also in 1994. Called AFDA, it now has more than a thousand students in Johannesburg and Cape Town. Holmes helped with that too. “Everything I’m doing here was through what I did with my brothers,’’ Holmes said, adding that the Bassline was considered “a nursery school of jazz in South Africa,’’ and he considered the Shebeen the same. Holmes is now looking to buy his own venue in Paris, and his 1 million euro offer narrowly missed out to a bigger company last May on buying the concession to a venue called La Fleche d’Or, where Pete Doherty performed a solo concert last month. Holmes said his companies, BPM and Africa Unsigned, fit in where the bands are lacking: The young musicians are good at making themselves known on the Internet on MySpace and Facebook, but they know nothing about how to lead their careers in the real world. Holmes’ companies make them known as live acts, book them into venues and deal with their record label negotiations. With CD sales disappearing, he said, “the future of music is in live,’’ but also in band merchandise. ‘‘The only product that exists now is to actually go and see the band live. And that is where you’ll sell the merchandise,’’ he said. what happened to Holmes now and his plans? is there another bar or venue somewhere?